Dovetail Games, the multi award-winning simulation developer and publisher today can announce that it has signed a licensing agreement with Evinrude for Dovetail Games Fishing Sim World. 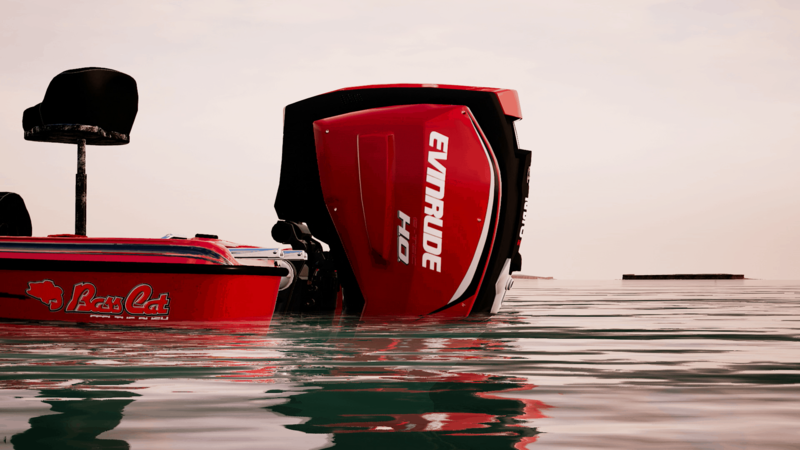 As the originator of the outboard engine, Evinrude continues to build its legacy through advanced innovation at its state-of-the-art manufacturing site in Sturtevant, Wisconsin. Their engines provide best in class torque, lowest emissions, and better fuel economy than any other outboard engine on the market. As part of the deal, the Evinrude ETEC G2 250 H.O. will be featured in Fishing Sim World before Christmas whilst the two companies continue to work together to add further engines as the game continues to grow and expand. Built with cutting-edge Unreal Engine 4® technology, Dovetail Games Fishing Sim World is the most authentic fishing simulator ever made, taking you around the world on an angling journey like no other. Fishing Sim World is available for PlayStation 4, Xbox One and PC. For the latest news and developments, please visit www.fishingsimworld.com or follow along on Facebook, Twitter and Instagram. For further information about Evinrude please visit their website or Facebook, Twitter and Instagram pages.